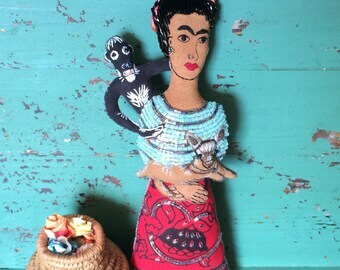 A great gift for any Frida Kahlo fan or folk-art lover! 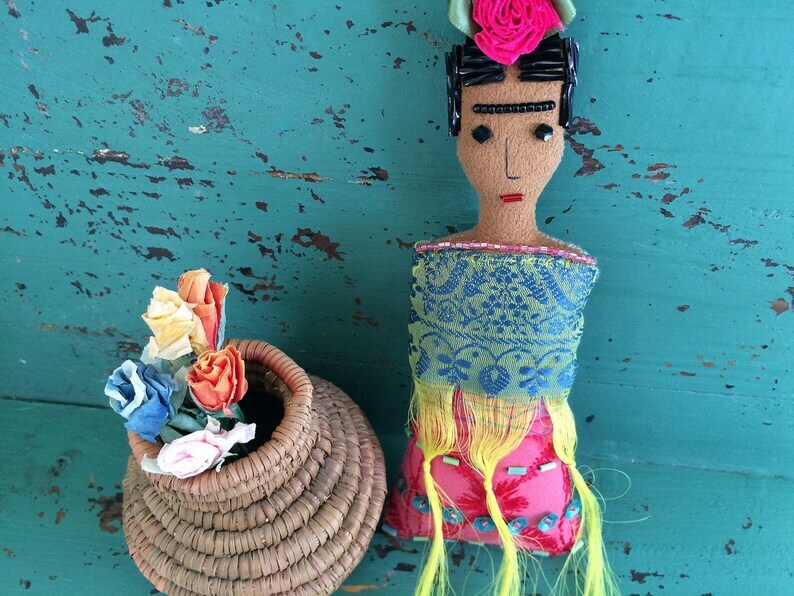 This decorative Frida Kahlo doll ornament is approximately 6.5” tall, 2” wide. She is wearing a shawl made from recycled Indian fabric with long yellow fringe and additional beadwork that I added. Her skirt is made of recycled fabric to which I added beadwork and flower sequins. She is wearing a hot pink camellia in her hair. I made her individually by hand, and she is my original design. She will look great hung on the wall or standing on a bookshelf or personal shrine! NOTE: The photos in this listing are of a representative doll, not the exact doll you will receive, so there will be slight variations. If you are concerned, I can always take a picture of the exact doll you will receive. This ornament is too delicate for young children. Background objects in photographs for display only, not included.